Our Lead Accelerator solution provides more than just leads. Our system enables us to capture in-market intenders and nurture interest based on user engagement and predictive modeling. 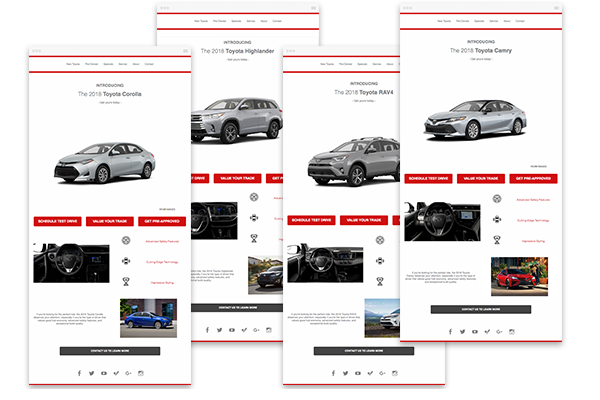 The 3 Birds Lead Accelerator custom lead follow-up communications drive more buyers to your live inventory based on the consumer’s behavior, interests, and needs. 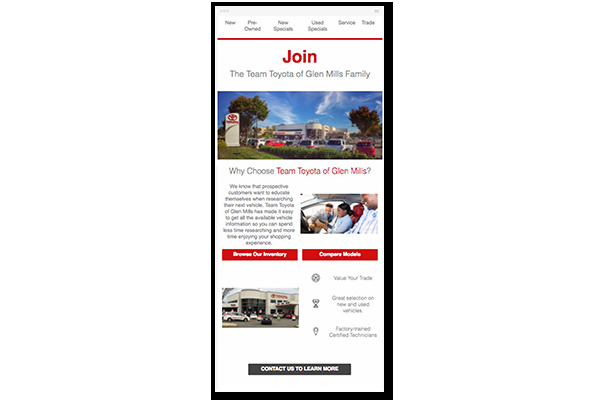 Our compelling messages not only help promote your new and pre-owned inventory with relevant offers that drives trust, but also ensure that every lead receives a timely, quality response. In short, our Lead Accelerator turns more leads into deals (and does so faster). 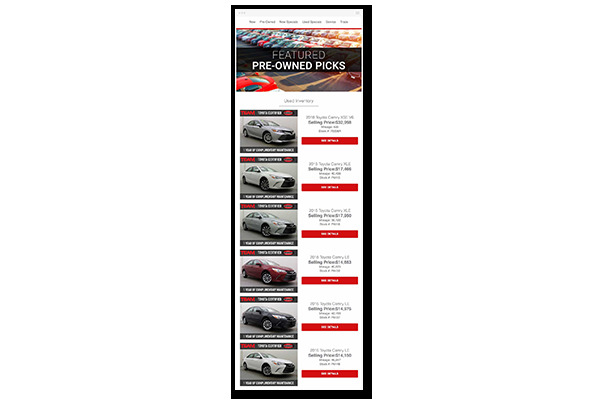 Promote newly arrived and aging CPO/used inventory with these messaging streams that target the best candidates for pre-owned vehicles. 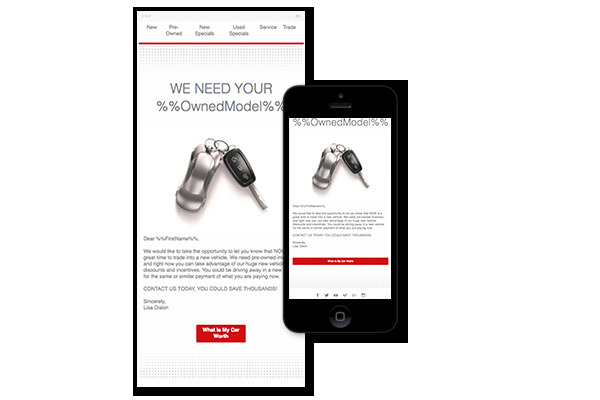 Develop additional information to use to convert more leads to sales. 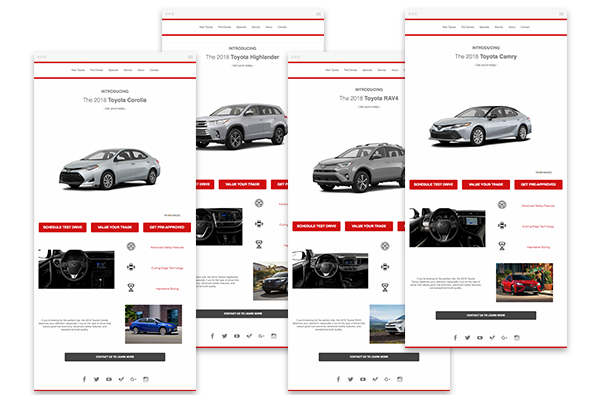 Introduce your dealership and sales process to showcase the reasons to buy from you and set clear expectations.